In some ways, I suppose I am one of those people, trying to make my way down a path that most don’t attempt or perhaps don’t even realize is an option. In other ways, I am so following the well traversed path that I am smack dab in the middle. But the third option didn’t fully come to me until I was looking through my photos and found one of a path. A completely straight and narrow path leading up a hill (or down a hill depending on your perspective). When I thought about the word aimless and how I used to describe myself despite the obvious path I was walking, I discovered the third option. I walk the path, but I tend to wander off. I take little side trips whenever I see something interesting. I would never try to new things, take any type of risk, or learn something completely different if I simply stay on the path. My side trips take me into new territory and out of my comfort zone. They allow me to explore the world and myself. I’m not sure I can honestly describe myself as aimlessly wandering through life. It isn’t very accurate, and it certainly wasn’t accurate when I said it often. I should have said I was mindlessly wandering through life. Mindlessly was closer to the truth. These days, I am wandering, exploring, and learning, but I wouldn’t call it aimless. I have goals even if they are vague. I can’t say I am on the path. Maybe I’ll head back tomorrow. I turn 40 this year at Christmas time and I think I’m on “the business route” instead of the normal freeway when it comes to what path I’m on. I have two kids in 1st grade and preschool and while I know I have my own life, my focus really is them and on my Hubby right now. Hopefully when the kids get a little older and into all day school I’ll be able to get back on the freeway of life, but right now I’m stuck in stop and go traffic waiting for that on ramp light to turn green again! PS- I found you through the Blog Share Learn link up from last week. I really connected to this post, I can’t wait to see if you post there again. I’m so happy we found each other! I post at Blog Share Learn most weeks, so we should run into each other again. I just read your post about summer. Life is certainly different as an adult, isn’t it? Thanks for visiting and commenting. See you again, soon! Very interesting look at life’s paths. I don’t see you as aimless at all and like you say you’re just exploring and learning along the way. 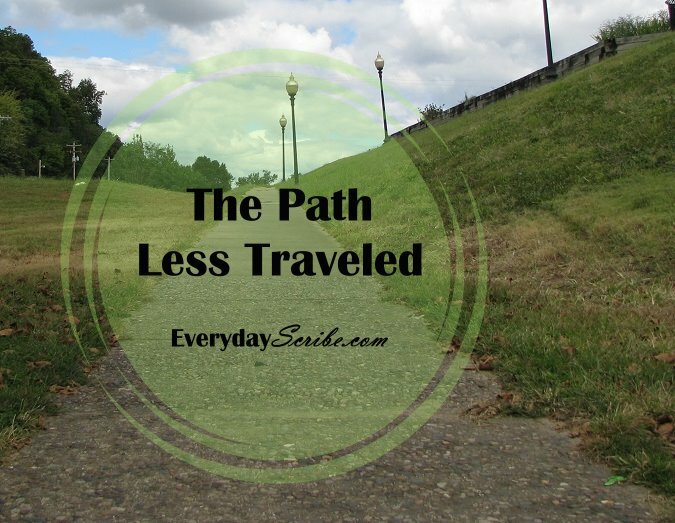 I would say I am on the narrow path that is leading me through different experiences while heading toward my goals. Thank you, Kathleen. I might have to do a follow up to this post one day. There is a lot to explore here, I think. I appreciate you visiting and commenting! I like your analogy here, about taking side paths. Another option is to make your own path! True, Michele. I am trying to envision what that path might look like. Thank you for visiting and commenting!